All four of these exfoliating body scrubs are great for softening your skin. Choose your ingredients depending on your skin type and the results you're looking for! You probably already know that normal soap doesn’t cleanse the deeper layers of your skin. 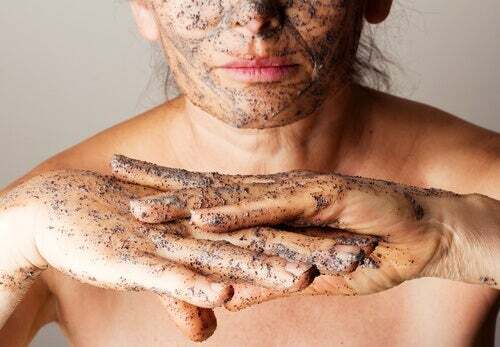 That’s why using exfoliating body scrubs can help prevent or minimize blemishes like pimples, blackheads, and fine lines. In this article, we’ve selected some of the best exfoliating body scrubs made with essential oils to help soften your skin. Natural oils are a great way to take advantage of everything that fruits and plants have to offer. You’ll see that all of the oils are mixed with grainy ingredients. These are in charge of removing dead skin cells more easily to leave you with clean, smooth skin. Try all of these exfoliating body scrubs with essential oils and pick your favorite. This exfoliating scrub is perfect for treating skin that has gotten too much sun or is irritated by some kind of infection. The mint oil helps calm sunburns. The green tea helps detox the skin, while the sugar removes impurities from the deepest layers of your skin without causing any damage. Mix the three ingredients together. Apply the exfoliating scrub to clean, damp skin, and massage from the bottom to the top. Rinse the scrub off with warm water. This scrub is great if you have reddening or burns from the sun. If you’re a coffee lover, you probably throw a good amount of coffee grounds away every day after brewing (or maybe you use it as fertilizer or in your compost). Here, we’ll give you a recipe to give new life to your leftover coffee grounds. This exfoliating scrub also utilizes powerful juniper oil. Mix the two ingredients together and massage, making circular motions, into clean, damp skin. Remove the scrub in the shower or by rinsing with warm water. Try this exfoliating scrub if you want to prevent or postpone the appearance of wrinkles and blackheads. One great thing about this scrub is that it will cost practically nothing. 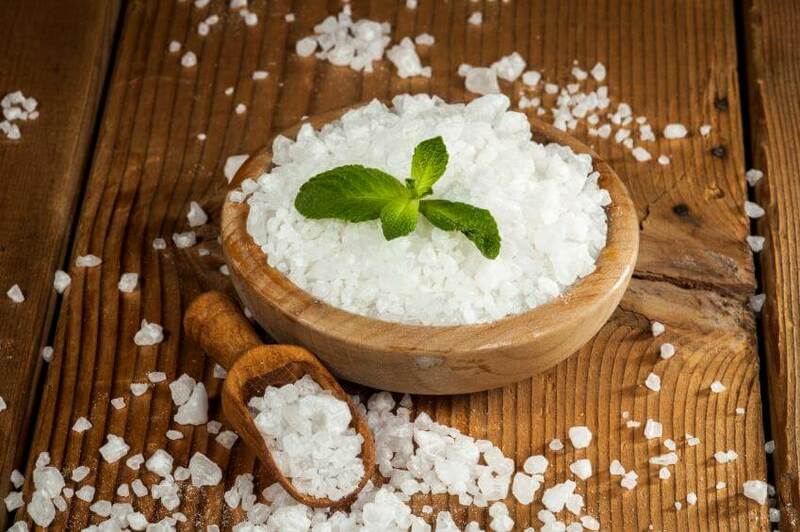 You probably have some Epsom salts laying around the house and a lot of people have the other two ingredients already in their kitchens. Almond oil is one of the best oils for your skin. It doesn’t just nourish it, it also helps firm it up. Green tea is rich in antioxidants, meaning it will give you a radiant, youthful look. Finally, the Epsom salts very gently remove contaminants from your skin. Apply after showering to clean, damp skin. Massage into your skin, making circular motions. Rinse and apply your regular body lotion. This exfoliating scrub is recommended if you want to treat flabby, dry, or aging skin. Between the sweetness of the sugar and the wonderful aroma of jojoba oil, this scrub will turn into your favorite in no time. This particular combination cleanses your skin of dirt, toxins, and dead skin cells, leaving it soft and firm. Mix the two ingredients together and use after showering, while your skin is still damp. Try this scrub if your acne is flaring up. To make sure your exfoliating body scrubs are really doing their job, double-check that the ingredients are retaining all of their properties. Buy high-quality products. It’s easy to find essential oils nowadays, but they’re not always 100% pure. It’s best to go to a well-known natural food or beauty shop. Keep your exfoliating body scrubs in glass jars. Whether you have some leftover or you want to share with a friend, always try to store them in glass. Glass will preserve the special properties of the oils and other ingredients longer and better. Pazyar, Nader & Yaghoobi, Reza & Bagherani, Nooshin & Kazerouni, Afshin. (2012). A review of applications of tea tree oil in dermatology. International journal of dermatology. 52. 10.1111/j.1365-4632.2012.05654.x. Southwell, Ian & Freeman, Susanne & Rubel, Diana. (1997). Skin lrritancy of Tea Tree Oil. Journal of Essential Oil Research – J ESSENT OIL RES. 9. 47-52. 10.1080/10412905.1997.9700713.